Jeremy McGhee’s goggles were fogged, his left arm was cramped up, and his body was drenched in sweat. It took every bit of the 38-year-old’s strength and determination to pull his body up to the summit of Bloody Mountain, a 12,544-foot peak in California’s Eastern Sierra Nevada range. It was early June in a low snow year. The plan was to ski Bloody Couloir, a 55-degree slope that is considered a rite of passage for only the most advanced backcountry skiers and snowboarders in the region. The fact that McGhee is paralyzed from the waist down substantially added to the degree of difficulty. It took years of dreaming, months of planning, a support team, and more than 1,000 pull-ups get to the summit. McGhee laid face down on a plastic sled while using ropes and pulleys placed by a supporting team of climbers to pull himself up the couloir. 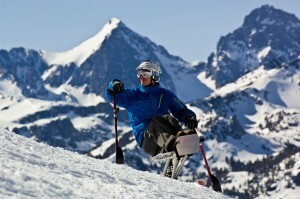 A friend carried his sit ski up the ridge; his wheelchair waited for him in the car. McGhee’s goal was to inspire others to “do what they love,” but the expedition was also was just another one of McGhee’s crazy stunts that he dreamed up and saw through. The blonde-haired, blue-eyed San Diego native was paralyzed from the waist down after a car hit him while riding his motorcycle, but he says the accident hasn’t changed him. The released film, Drop In: Bloody Couloir, documented the expedition and is available on DVD for a donation. Since the expedition, McGhee has toured the country showing the film and making appearances as an inspirational speaker. Like many backcountry expeditions, few things went right starting at the planning stages, and this one almost didn’t happen entirely. The original date for a summit bid was called off due to a late spring storm and the team had to make the call to stand down. “The mountains and Mother Nature dictate the rules and we respected that,” says Colin Farrell, Drop In Project expedition leader. The team was able to rally and do a much needed practice run on a closed area at Mammoth Mountain, which turned out to be a pivotal moment. Before that practice run, it seemed that the expedition itself was going to be a trial, but given the extra confidence, the team knew they were prepared. The documentary is a funny, emotional, and inspiring account of the expedition. What is not shown in the feature film is the rescue effort to get McGhee to the hospital once he descended. He was severely dehydrated. But he was not defeated; McGhee recovered after a couple days in the hospital and he is already planning his next big endeavor. Though Farrell was appointed expedition leader, it was McGhee that rallied the troops. The 30-person team of climbers, porters, and filmmakers all signed on for the project despite lack of experience with this sort of expedition. One of the cameramen had never camped before, some had never worn crampons, and no one knew how to get a paraplegic up a mountain. Farrell has witnessed many of McGhee’s “crazy stunts,” like mountain biking down the four-wheel-drive Laurel Mountain Road, sliding rails on his sit ski on the San Joaquin Ridge, or launching 70-foot jumps on his ski at the Unbound terrain park at Mammoth Mountain. It’s not only his fearless, life-loving attitude that allows McGhee to break down barriers of what is possible for a man in a wheelchair, says Farrell, but also his charismatic personality that inspires others to join in on whatever McGhee dreams-up. His adventurous spirit has no boundaries and his message is simple. “Do what you love, baby,” McGhee says. 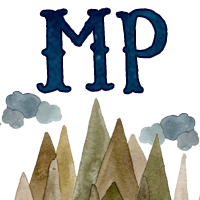 Note: This story was first written for and published on the Visit Mammoth blog. Check out the site for more photos and videos.